Learn more about the interior below, then visit Reeves VW in Tampa to experience our Passat inventory and explore the interior up close. Everyone rides in complete comfort when the driver and front passenger are able to set precise temperature preferences for their own half of the vehicle. 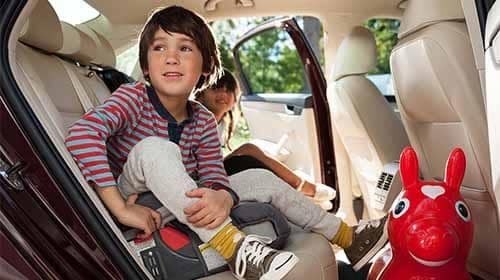 The Passat comes standard with a driver's seat that is power-adjustable in eight directions and includes power lumbar support. Both front seats have this feature on the SEL Premium trim and above. Premium leather upholstery gives the Passat an elite look and upgrades the comfort of the seats for everyone in the cabin. Many Passat trims come with heated front seats, and on select trims they are available in back as well. Whether it's a cool morning of a chilly night, these seats keep you warm and cozy. There is 102.9 cubic feet of passenger volume and 15.9 cubic feet of trunk space. Technology like a backup camera and Bluetooth connectivity are included. A center front armrest with integrate storage helps prevent clutter. The stereo has a USB port, AUX-in, and 5-inch touchscreen interface. The tilt-and-telescoping steering wheel ensures comfortable driving. Advanced safety features like emergency braking are available for extra protection. The Passat is a great car on its own, and it’s even beating out models like the Honda Civic and Honda Accord. Purchasing a Passat from Reeves WV is easy after you fill out a financing application, and owning one is easy too thanks to a generous warranty offer. Head to our dealership in Tampa to learn a lot more about parts, accessories, and more! When you’re ready to take a test drive, contact us at your convenience.